This is the first in a 3 part series looking at new methods and approaches now being implemented across the industry, to increase the quality of user experiences across digital platforms. In this article I will look at how collaborating together can help define a strategy, fuel content and outline functionality for projects. As a team you can gather 20 great ideas in twenty minutes, rather than one person taking control and scratching their head for 20 mins. This method also sparks creativity, because someone can be inspired from someone else’s ideas and expand upon them. Whenever we get a new brief we make the effort to sit down, make notes and discuss all the possibilities. At this stage nothing is discounted and everyone has a say in how to fulfil the brief and exceed client expectations. We are starting to see more diagrams and charts being used to help identify & prioritise needs and organising ideas. The diagram below is how we go about planning content and functionality at the start of any project. At this point sketches and wireframes remain minimal and it’s more about idea generation and identifying user needs & goals. From here findings influence the site-structure and UI elements, this is a great project starting point for the whole team and client to be involved in, as they have a deep understanding of their target market. Coming on to target markets and understanding your customer. Investing time and money into creating customer profiles can be a great way of discovering information such as what they want to achieve, beliefs they may have or current obstacles they face. Having research data and insights like this is invaluable and can directly affect choices you make when starting a new project. Ways of gathering this information are by observing customer behaviour online (analytics, heat maps etc), consumer interviews, competitor analysis, research and surveys or task analysis. Sometimes wireframes, designs and high fidelity prototypes are all needed at different times, our experience of managing and delivering a wide range of projects gives us the knowledge to know when to implement all of the above. 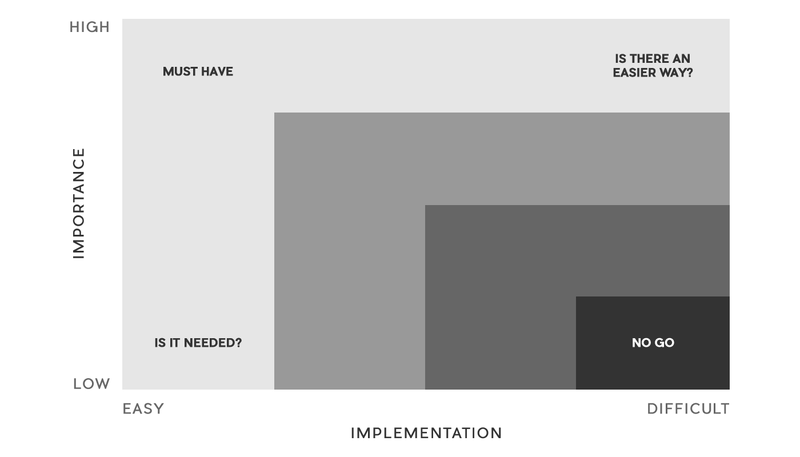 Teams waste lots of time thinking of ideas and designing elements that aren’t needed and outside the scope of project budgets. However coming up with lots of great ideas isn’t a bad thing, having an armoury of ‘you could…’ options is brilliant as it shows the client you care and you’ve thought of every possibility! Next up in this little series of articles is ‘Mobile First – The Real Meaning’. Keep your eyes peeled for it soon!